There’s been a recent item talking about Gou’s lowering ratings, and mostly pointing out Juri Ueno’s miscasting or her lacking experience in period dramas. Of course, I cannot form an opinion on whether Juri’s use of Japanese is appropriate for the era or not, and neither are most of us. However, I do understand why it would turn people off. I cannot for the life of me, however, understand why would people say they don’t understand Juri Ueno playing a 10-year-old version of Gou, when for the past few Taiga dramas it’s been used. 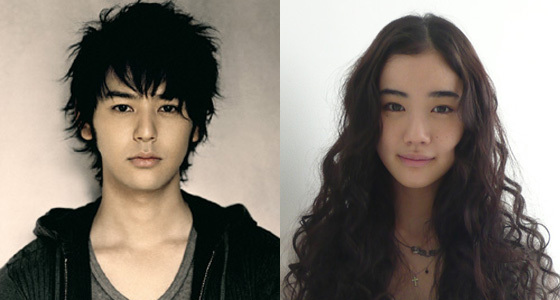 I just began watching Taiga dramas just a few years ago, and I do understand why it would throw people off. It’s weird to you, I get it. and obviously, Aoi Miyazaki (and Eita) played little kids early on Atsuhime, as well as playing them as 40 or 50-ish year-old people. Also, I want to admit it. I don’t feel passionate enough about Gou. I love Juri, Asami Mizukawa and Rie Miyazawa, I do. But I’m not feeling the story. The three sisters, though they married very important people, feel like simple pawns in the story instead of being the players. It felt different in Atsuhime. They made Atsuhime interested in history, learning, and go strategics. She was constantly sent to places, and did things on her own to change her purpose in there. 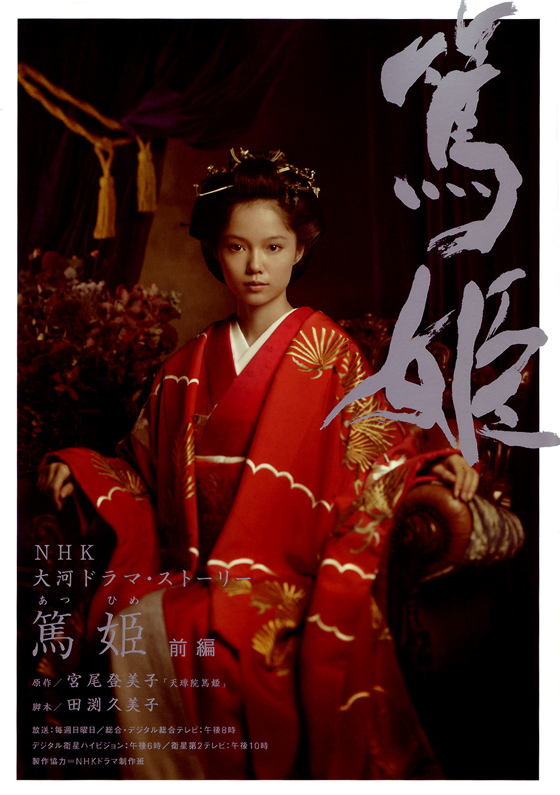 In the show, she was sent to be able to control the Shogun, to disintegrate the Ooku… yet, when she marries into the family, she sets to protect her new family. It’s conflictive. It was engaging. It was good. And this is me telling you I like Juri Ueno more than Aoi Miyazaki. Plus, you don’t need to be a kid to play a kid convincingly. Coin de Rue to Get Hollywood Remake? Most fans outside Japan haven’t even been able to watch Raiou… let alone Yogashiten Coin de Rue, yet here comes the news that Hollywood might be preparing their version already? I’m trying not to have a biased, but remake news are getting ridiculous. At least wait a year before a remake, Hollywood. Coin de Rue hasn’e even been out for more than a month, and you do this. WHY?! xD You know allllllll those talks about how Hollywood is not original anymore? Well, this type of news ain’t making it any better. Has any of you seen Coin de Rue? 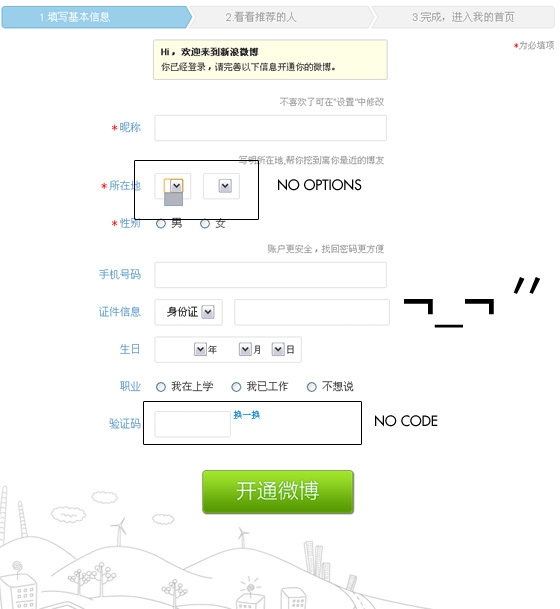 So I was browsing around to see if I should setup a Weibo (aka. China’s microblogging a la Twitter), and I was fine. I was able to open an account, and got an email for confirmation. The problem began later. I was supposed to pick a nickname, and setup my profile… but there was an issue. I thought it must be me not reading characters, so I google it up and ended up with this Tutorial on how to setup a Weibo account (to follow CNBLUE, ha!). And it seems like the “Location” option tab — which is the first rectangle in my screencap — is set automatically, but in mine shows nothing! Then, I don’t have the confirmation code either! So I can’t move on from that setup page! Also known by its French original title, Le Silence sous l’écorce. The animated short directed by Joanna Lurie follows two… little beings (?) who wake up as it begins snowing. The short was one of the few shortlisted for the Best Animated Short Oscar nominations, but it missed out on it just like Sensology. This style is challenging my eye to figured 3d, 2d and mixed media. There’s also a short making-of the short.